Join me, Mike Perricone and Mr.C.J. 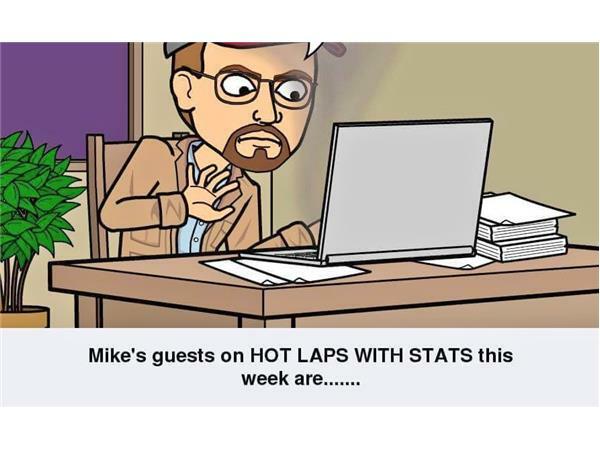 Sports for HOT LAPS WITH STATS on Friday, March 17, 2017 from 8-10 p.m. On the eve of the WHELEN MODIFIED TOUR Opener at Myrtle Beach (S.C.) Speedway, which C.J. and Shorty will attend in person, our studio guests will be two of the top teams on both the Tour and at Riverhead ( L.I.) Raceway. Eddie Partridge, Owner of the #6 Modified and his driver, Ryan Preece, will be first. We will talk to them about their 2017 goals as well as the upcoming Riverhead Raceway season, which Eddie also owns with wife, Connie and nephew, Tom Gatz. Then, another driver from a very successful Racing Family, Eric Goodale, will join us. Eric also competes at Riverhead Raceway, his Home Track, as well as on the WHELEN MODIFIED TOUR. Two top Modified drivers and an Owner Preview 2017, so please join us.